Uwe Pries, a citizen of the so-called German Democratic Republic (GDR), took a vacation in Bulgaria in the 1980-s. While playing a regular tourist, the young man’s intention was to flee to the West via Turkey. He wanted to get out of communist Germany and believed it would be easy to escape via Bulgaria. He met a friend at the Black Sea coast, in Kavatsite to be exact, and convinced him to come along. Pries expected their lives to change radically. He was not so wrong about that aspect. Also he thought their chances to cross the border would be better towards the heartland of Bulgaria, rather than at the coast. In this case he was only partially right. But there were lots of things Uwe Pries and his friend did not know. All they had was a map of Bulgaria. On that map, it did not say that the GDR’s State Security (Stasi) had agents in the country who were in charge of identifying individuals who intended to escape. Nor did his map tell him that those Stasi agents were cooperating with the Bulgarian Darzhavna Sigurnost (DS), the infamous Bulgarian equivalent of the GDR’s State Security. Pries did not know that anyone’s chances to escape from the Eastern Bloc via Bulgaria were slim and that their lives were in immediate danger. Considering they had no clue, the two GDR citizens got relatively far. After a bus ride, they walked a rural road towards the town of Malko Tarnovo. When it got dark, they heard dogs bark and saw some kind of a hut in the distance. The two men decided to bypass it, since they believed it was a checkpoint. And they were right. Indeed, Bulgaria had a security zone along its borders, which was up to 30 kilometers wide. At the Black Sea coast, Tsarevo was the southernmost beach resort Bulgarian citizens and foreign tourists were allowed to access. Only residents with permits were allowed to travel all the way to Sinemorets or Rezovo. But that security zone also existed further west, away from the beaches. Pries and his friend walked around that hut and found a barn, in which they slept for a few hours. Once they woke up, the friend was terrified and thought he had made a huge mistake. He was right. The two Eastern German men stopped a truck, which took them further south. Of course the truck was stopped by Bulgarian border guards who were asking for documents. Uwe Pries just jumped out of the truck and ran into the forest, as far as he could, while his friend was pulled down from the vehicle. He had to lay down on that road. One of the guards pointed a machine gun at his neck. A day later, Pries actually managed to reach something which looked like a border. There were two high fences, one of which he managed to climb. But border guards caught him with their dogs, before he could even get close to the second one. Pries says the guards beat him and then pretended they were going to shoot him. Later, he was put in jail in Burgas, and finally in Sofia. He hardly ate for days. At first they did not give him food. Later, the hygiene was so bad, he refused to have anything. A month later he was in jail in the GDR. Pries and his friend survived. But not everyone did. 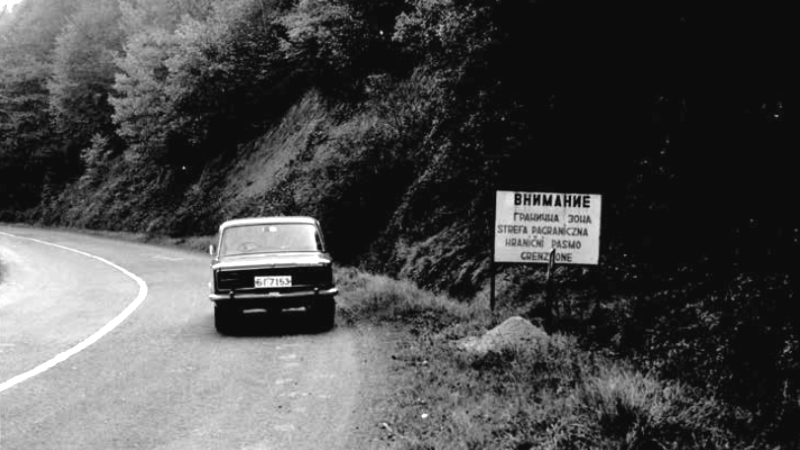 Communist Bulgaria permitted its border guards “to use firearms against fleeing subjects”. And they did. Some twenty years earlier, about the time when Uwe Pries was born, another GDR citizen, whose name was Werner Gambke, intended to escape to the West. A vacation in the Bulgarian Rhodopes was his cover. He stayed in a picturesque village in Smolyan province, close to the Greek border. On June 11th, 1965, Gambke was reported missing in that village. That morning, a juvenile inhabitant of the village of Stoykite saw the German leave and followed him. At 11 a.m., the border police was informed. A team, consisting of officers and dogs, was sent to find the refugee. According to the German Agency of the Federal Commissioner for Stasi Records, Werner Gambke was seen again the next day, this time by a shepherd. By now, the Bulgarian authorities had ordered 41 border police officers to find him. In addition, 330 residents of several villages in the area had been commissioned to guard the border. The next morning, the Eastern German was located again, by soldiers, only 150 meters from a so-called border pyramid. According to the official protocol, Gambke was ordered to stop, but did not react. Several border guards opened fire and “liquidated” him. This is the first registered case of a GDR citizen who was killed by Bulgarian border guards. 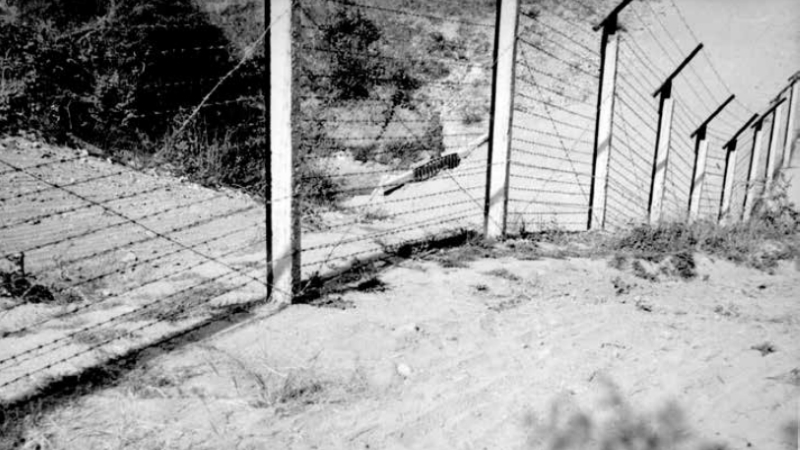 The Agency for Stasi Records says Gambke was buried right there in the border region, where he was shot. The final report of this incident reads the border guards had “dealt with the situation quickly and with courage”. The Gambke case was murder in cold blood. He was shot for trying to get to the West, just like many others after him. Until 1989, Bulgarian border guards were supposed to “use their weapons” if there was no other way to stop refugees. That is what it said in a decree issued in 1952. But in reality many refugees could have been stopped and arrested, instead of being killed. There are many more victims. Less than year later, in April of 1966, Karl-Heinz Engelmann and Siegfried Gammisch, two adolescents from Eastern Germany, were shot and killed when they tried to get to Greece from Bulgaria’s Smolyan province. They were buried on site as well. According to documents issued by the Bulgarian State Security in 1975, the Eastern German Ministry of State Security (MfS) approved the killing and burying of German refugees on site. It did not take long until the parents of Karl-Heinz Engelmann and Siegfried Gammisch wanted their sons’ bodies, in order to bury them. At first they were told the remains would be transferred. Shortly after, the GDR authorities said Bulgaria had rejected the request “for climatic reasons”. Neither the Engelmanns, nor the Gammischs were satisfied with that answer. They hired renown lawyers who tried to force the communist authorities in Berlin and Bulgaria to come up with explanations. It took long until the Red Cross told the families their sons had been killed during an attempted escape, close to the Bulgarian-Turkish border. But the parents were far from satisfied. They kept on demanding more information. The Eastern German authorities came to the conclusion they had to change their policies, in order to avoid big scandals. Therefore, they would decide about the fate of the bodies of any refugees from the GDR from that moment forward. This meant they told their Bulgarian colleagues what to do with them. In 1967, a lady from the GDR committed suicide in Slanchev Bryag (“Sunny Beach”), after a plan to get her out of Bulgaria, organized by her brother, had failed. She poisoned herself and died in a hospital in Burgas. That same year, Peter Müller and Günter Pschera tried to escape. They were accommodated in a tourist camp in Primorsko, at Bulgaria’s Black Sea coast, and traveled south on a small motor bike. At some point, they left that vehicle in a bush and walked, but were quickly found by soldiers. Pschera was shot dead, Müller survived. According to the border guards, Pschera had wanted to “defend himself with a knife” he was holding. Müller disputed that version, saying the soldiers had just started shooting, without any necessity. In 1972, another GDR national, Wera Sanders, who was actually a Stasi agent, and her Western German fiancee Rudolf Kühnle were shot dead while trying to cross the border into Yugoslavia, to the south of the Bulgarian border town of Kalotina. Michael Weber, a 19-year-old, was the last GDR national to be killed by communist Bulgaria while he was trying to cross the Greek border. It happened on July 6th, 1989, in Hodzhovo, a village close to the southern border town of Kulata. Today, almost three decades after the collapse of communism, it is hard to reconstruct many of these terrible stories, since both the Bulgarian and Eastern German authorities tried to conceal those killings and their motives. Many cases will never be elucidated. Generally, in their hunt for refugees, the border guards were supported by hundreds of informants from Bulgarian towns and villages in the border regions. This was not just about refugees from the “German Democratic Republic”, but also Bulgarian ones and individuals from other Eastern Bloc countries. According to the data at hand, at least 16 GDR nationals were shot dead in Bulgaria, while trying to escape. The actual number might be higher. At the same time, these victims are only a small fraction among all refugees who were killed by communist Bulgaria. 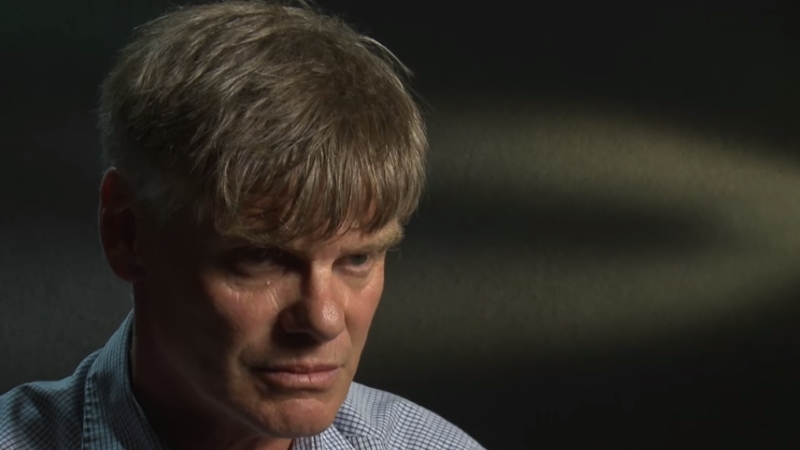 The German author Stefan Appelius did a lot of research on the subject. In 2006, he published his book “Tod in Bulgarien: Die vergessenen Opfer des Eisernen Vorhangs” (“Death in Bulgaria: The Forgotten Victims of the Iron Curtain”, in German only), which does not seem to be available on the German version of Amazon at this moment. The Agency of the Federal Commissioner for the Stasi Records in Berlin offers a lot of insight too. Some of the cases mentioned here, along with many others, can be found in a publication entitled “Tödliche Fluchten über Bulgarien” (“Deadly Espapes Via Bulgaria” in German only), put together by Christopher Nehring. It is available here. Yet another very interesting publication is the book “Flucht aus der DDR über den ‘Eisternen Vorhang’ Bulgariens” (“Escape from the GDR via Bulgaria’s ‘Iron Curtain'”, German only) by Stoyan Raichevsky and Fanna Kolarova. It was published by the Foundation for the Study of Communist Dictatorship in Eastern Germany.